So, you&apos;ve worked long and hard to perfect the menu for your restaurant? 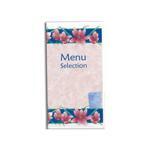 Now you want to make sure that the presentation of the menu to your customers reflects that hard work. Allow us to help. 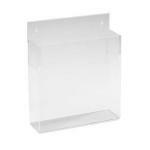 We provide high-quality menu covers, tabletop displays, and menu racks for your exciting new menu. 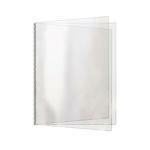 Menu covers also protect your menu from spills and food by enclosing the pages in a plastic sleeve. 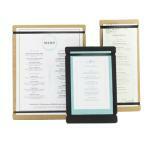 This will keep your menu looking as good as new. 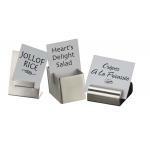 It&apos;s true that people eat with their eyes first - make sure they like what they see with menu accessories from brands like Risch, Cal-Mil, and Update International among others. If you have any questions, please call 877-236-5780 or send us a message in the chat box below.